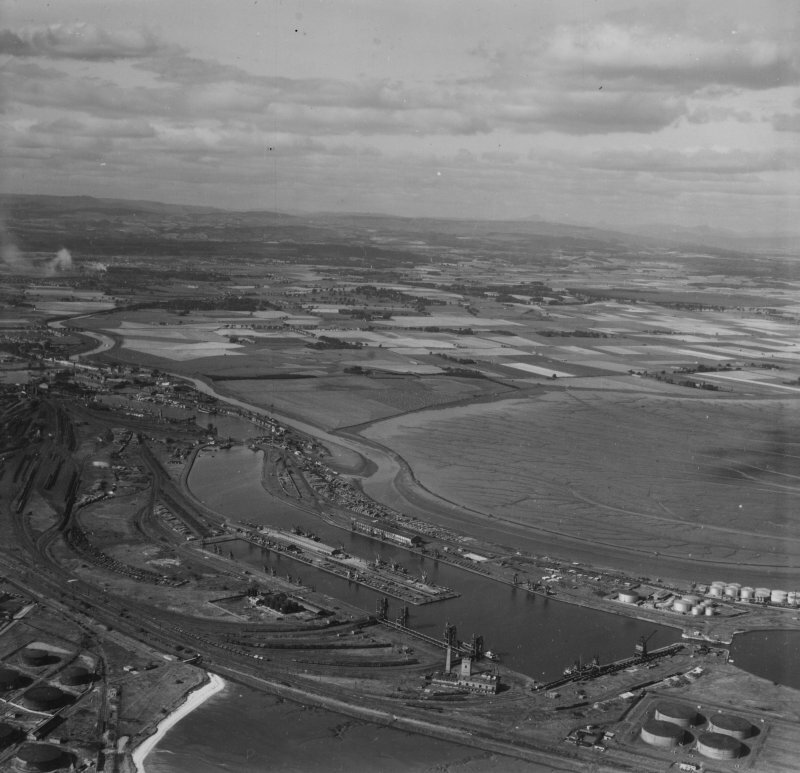 Grangemouth, general view, showing Grange Dock and Skinflats. Oblique aerial photograph taken facing north-west. This image has been produced from a print. Formerly entered as NS98SW 74. Constructed in 1906, only one of two surviving in Scotland. This was not visited by the survey team. This swing bridge carries railway tracks and a road across the main axis of Grangemouth Docks between the Western Channel (NS98SW 7.08) and Carron Dock (NS98SW 7.10), to the E and W respectively. Information from RCAHMS (RJCM), 4 May 2006.